The BBE tethered straps with snap locks offer adjustable length settings incorporating adjustment blocks both ends with grub screw fixings. These two multi-purpose rubber bungee cords come with two snap lock fixings and are designed for use with floor to ceiling reaction balls. The straps weigh 0.6kg (1.32lbs) and can be used to tether punch bags to a floor mounted fixing point, as well as to tether punch bags to a free standing boxing station. 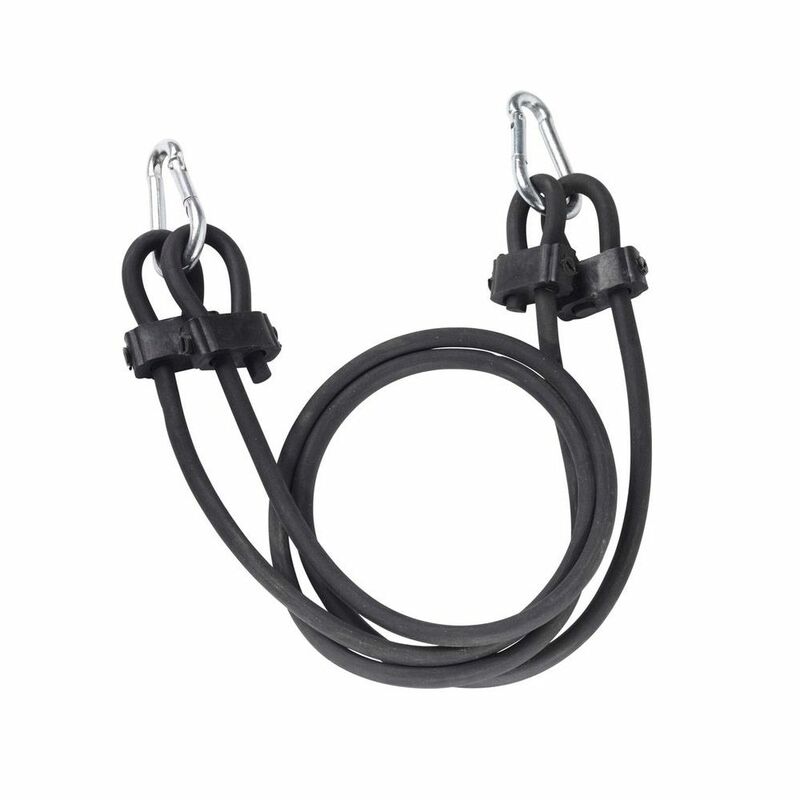 for submitting product review about BBE Tethered Straps with Snap Locks.